Automakers continue to find ways to save weight for better fuel economy and performance. Some choose to eliminate the spare tire. 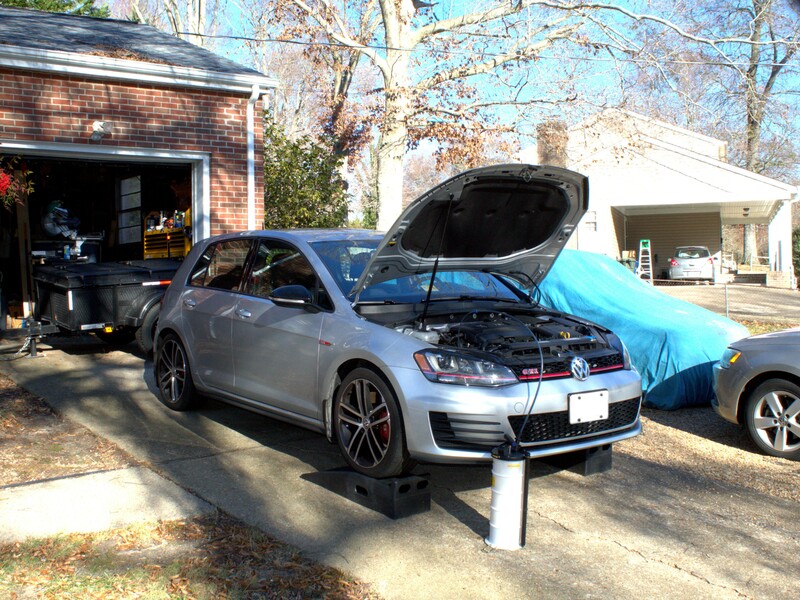 Others, including VW/Audi, choose to use plastic oil pans on some of their engines. The risk of damage seems low, especially at stock ride height. 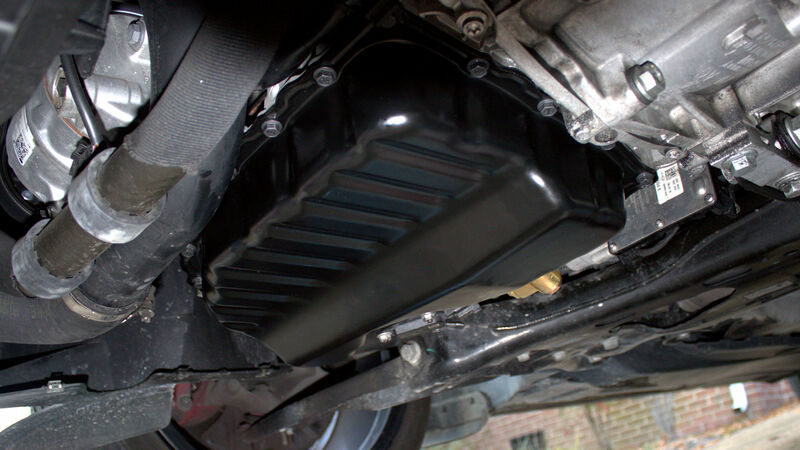 But accidents happen: road debris, ice chunks, or even animals can damage a plastic oil pan. Sure, the odds of those things actually striking the oil pan seems low. Regardless, the day is ruined once the pan is cracked and the oil gushes onto the road. Even if I could get the car to the shoulder and turn off the engine before damage occurs, I’d still be in for a wait for a tow truck and the headache of replacing the oil pan under conditions other than my own. I also tend to believe that the plastic will become brittle after years of heat-cycling, meaning a lighter hit could shatter the pan. I decided to convert the oil pan to steel during a routine oil change. A steel pan is more likely to bend than crack, so it’s more durable. For just $69… Why not? I chose a kit from USP Motorsports. The weather was nice, so I did the job in my driveway. I decided to angle the car downhill so that my ramps would level the car. I use an oil extractor for my oil changes and wanted to see how much oil it leaves in a level car. I dropped the oil pan and was surprised to see a fair amount of oil left. I was able to pour 16-oz into a cup. Had I planned better, I would have extracted the oil, measured how much oil came out of the plug, then measured how much oil was left in the pan. With that in mind, I’m sure the extractor would have removed more oil if I had pointed uphill. I know more would come out of the plug with the car facing uphill, effectively tipping the pan toward the plug. 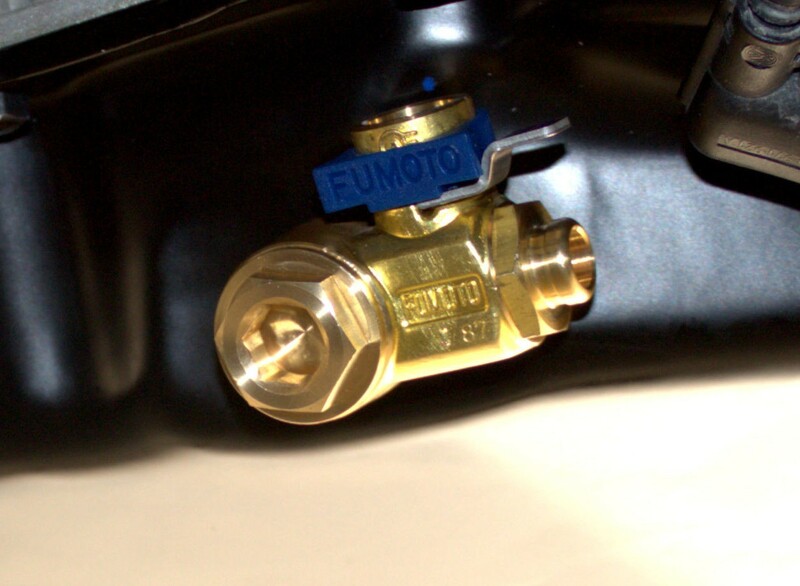 Speaking of the plug, I decided to install a Fumoto Valve, which enables the release of oil without tools. I’ve had one on my Mk3 for over 400,000 miles without issue. I didn’t dare to put one on my plastic oil pan, but I quickly added one to the new steel pan. I’ll continue to use the extractor for oil drains, but I will also open the Fumoto valve to see what else drains. By the way, Fumoto valves are great for taking oil samples without committing to a full drain! I can also attach a hose to direct the oil into smaller containers. 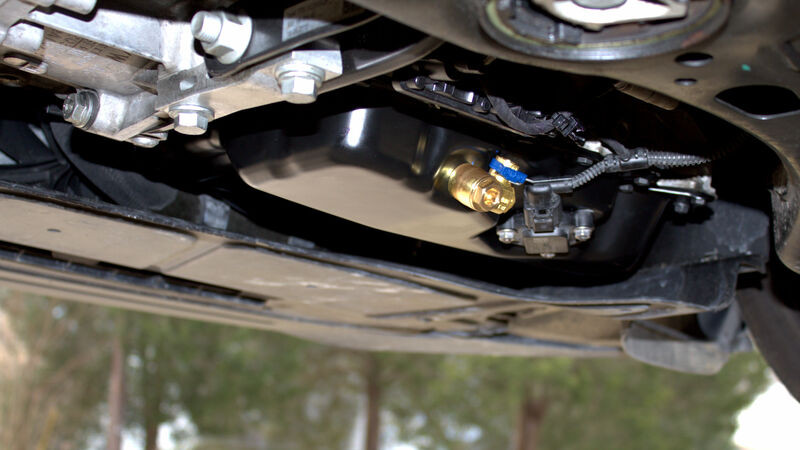 Check them out… just don’t add one to a plastic oil pan. Changing the oil pan was easy. I watched this DAP video beforehand to learn the correct torque values. In short, the oil pan bolts require 8 Nm plus 45 degrees, the oil pan sensor requires 9 Nm, and the drain plug requires 25 Nm. Most torque wrenches don’t accurately measure as low as 8 Nm. I have bicycle tools, so I was prepared for the lower torque measurements. But I still would have preferred to have even smaller torque wrenches than what I was using. I have since added this torque wrench to my collection. The DAP video warns against using too much sealant, but didn’t mention how long to let the sealant cure. Some say an hour is enough, some say two hours works, and others say to wait 24 hours. I didn’t need to move the car, so I let it sit for 20 hours before adding oil. Afterwards, I went for a good drive to get the oil and pan nice and hot, then I put the car back on ramps to check for leaks. I checked again after 500 miles. So far, so good! I’ve included a variety of photos in an album below. Feel free to ask questions. Hi Scott, Lee again . . .
Did you use the F106SX valve? I love these things, have them on my other vehicles. And, another APR question . . . I’m watching their site to try and catch the same “Sale” as you. They are 10% off thru the end of January and I’m wondering if that’s the same discount you received.